New details about Jussie Smollett handing over his phone records to police have surfaced. And it appears Chicago PD is giving him a hard time over it. The "Empire" star turned in his phone records, but the police weren't satisfied with the PDF file. Jussie Smollett's submitted critical phone records to Chicago police, but those records have been rejected because they're not the real deal. Law enforcement sources tell us ... what Jussie turned in 2 weeks after his alleged attack was a heavily redacted PDF file of his phone bill. Our sources say a PDF is subject to manipulation, meaning numbers can be added or deleted, although police are quick to point out there's no evidence they were in fact manipulated. The problem ... the only solid, irrefutable evidence is either the actual phone bill or a download of Jussie's phone. 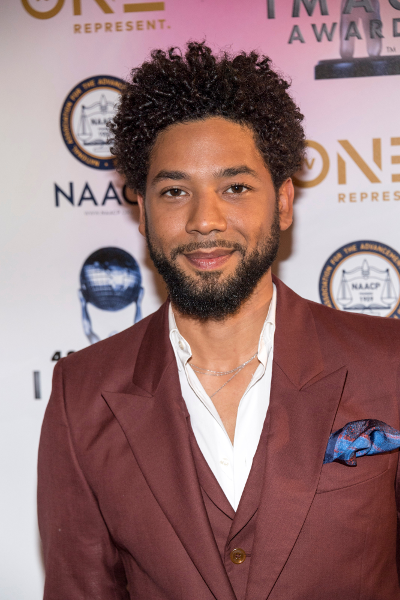 It's been two weeks since Jussie Smollett made claims that he was involved in a racist and homophobic attack, and Chicago PD hasn't made any arrests. The investigation is still going on and now, people in his neighborhood are speaking out about it. And they aren't totally sold on his account of what happened to him. You'll recall, the "Empire" star said he stepped out around 2AM after landing in Chi-town (where he lives while filming the hit FOX series) for a bite to eat. He went to Subway for a sandwich and a salad and claims two men stopped him in his tracks, began yelling out racial and homophobic slurs at him and then physically assaulted him, allegedly pouring bleach on him and tying a noose around his neck. Another man, who wanted to remain anonymous, is also skeptical. He flat out said Jussie is lying about it all because Chicago is a "liberal city." Chi-town may be liberal, but it's always been segregated and racist AF. And who's to say his attackers are even from Chicago? The publication spoke with a patron at Lizzie McNeil's - an Irish Pub about a block from where the attack happened. They claim Jussie's story "doesn't make sense." It was previously reported Chicago PD rounded up surveillance videos in the area, but none of the footage captured the attack. However, we all know Chicago PD has been known for corrupt activities. Let's not forget about how three Chicago cops were accused of trying to cover up the shooting of Laquan McDonald. We're not on the investigation team, but we find odd that the New York Post was able to find evidence - seemingly in plain site - that may have been used during the crime. The site reported they traced a route to the underpass from the 24-hour Subway that Jussie likely took on the night he was attacked and they reportedly found an "empty hot sauce bottle partially filled with a clear liquid that smelled like bleach." They said they turned the possible evidence into police and Chicago police spokesman Anthony Guglielmi said it was turned over to the FBI for analysis. After Jussie cleared up several details about the incident that were reported incorrectly, Chicago PD claims he still hasn't turned over his phone records to prove he was on the phone with his music manager, Brandon Moore, at the time of his alleged attack. It was reported his manager heard the assailants yell out racial and homophobic slurs. Chicago Police Superintendent Eddie Johnson also spoke out about the attack. He said Jussie is being treated as a crime victim, however, if it's proven that he filed a false police report, he will be held accountable. While Jussie's neighbors may not believe his story, his "Empire" co-star/on-screen mom Taraji P. Henson does. Find out what she told us about the attack HERE. NEXT: A STAR WAS BORN! Birthday Girl Brandy Makes 40 Look Hella FAB!